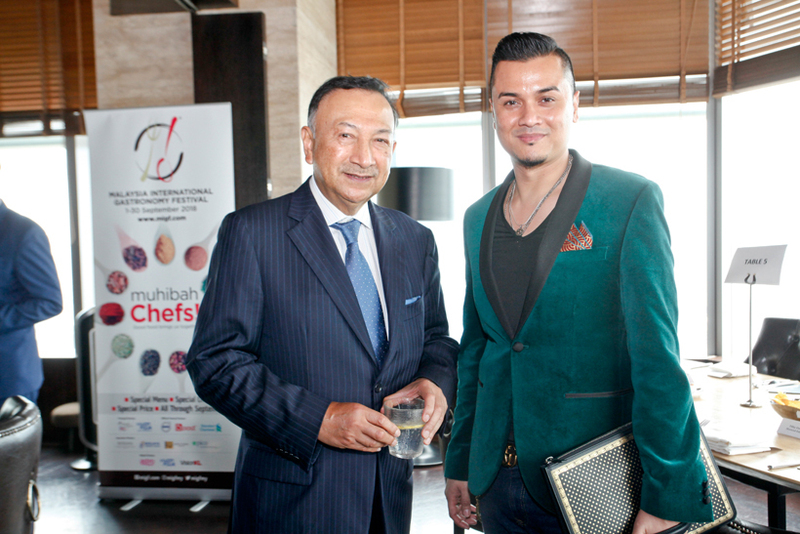 The first major gathering of this year’s Malaysia International Gastronomy Festival saw industry leaders gather at Marble 8 for the traditional Royal Patron’s luncheon. The Guest of Honour was of course Tunku Naquiyuddin ibni Tuanku Ja’afar, the Royal Patron himself who has stood in the role since the first Festival in 2001. 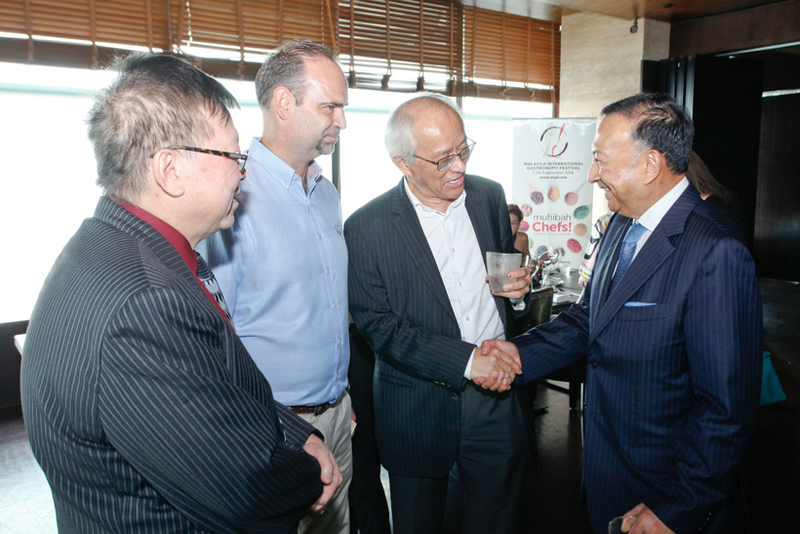 It was a reunion of old friends and meeting of new faces as guests met in festival restaurant Marble 8, and there to welcome guests with Tunku Naquiyuddin was Festival Organising Chairman Dato’ Steve Day, and AsiaReach Events Managing Director Datin Su Wai Fun. 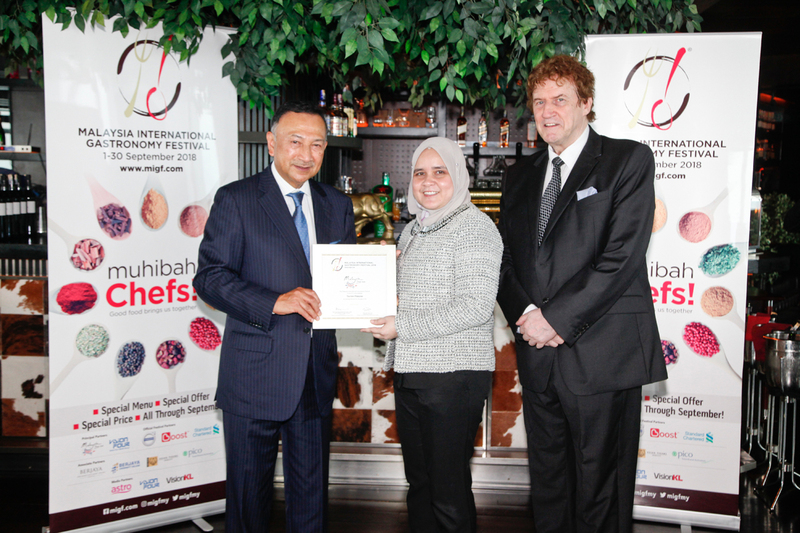 Among the guests were representatives from this year’s sponsors, GMs of participating hotels, owners of stand-alone restaurants and members of the Festival Advisory Committee, including Tunku Dato’ Seri Iskandar Tunku Abdullah, Dato’Seri Farah Khan, Datuk Seri Dr Victor Wee, Dato’ Johari Abas and Datin Winnie Sophia Low among others. 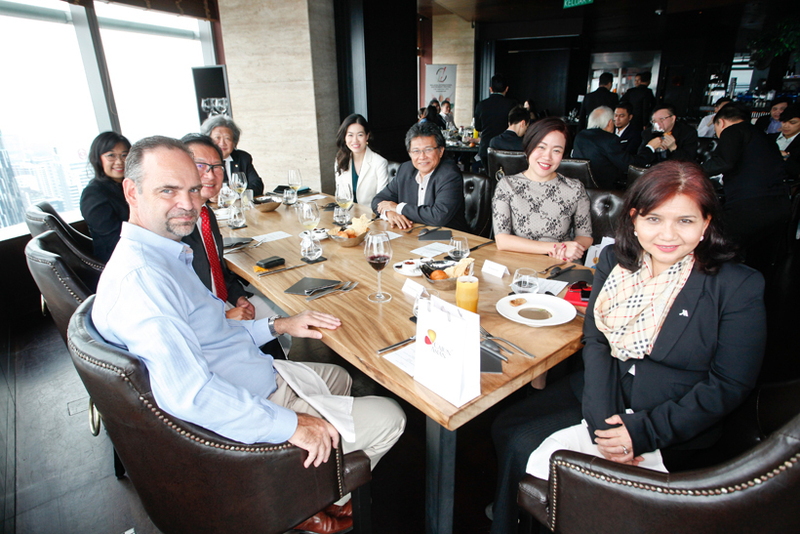 From the sponsors, attendees included Boost CEO Chris Tiffin, Asian Tigers Mobility Country Manager Peter Karlsson, Standard Chartered Bank Country Head, Retail Banking Aaron Loo, Volvo Car Malaysia Marketing & PR Director Rema Chetty and PICO Sales Director Mr Moo. Click here for Plaque presentation to all Festival Partners. 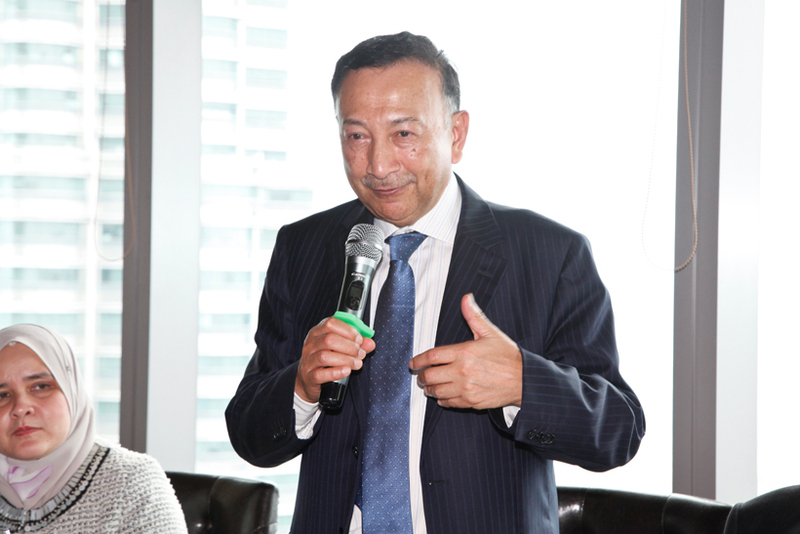 As guests sat down for the sumptuous meal – which included a cream of porcini mushroom soup, a choice between braised wagyu beef cheeks or roasted salmon and a sweet ending of panna cotta – Dato’ Steve gave a short welcome speech profiling this year’s Festival and its theme, ‘Muhibah –Good Food Brings Us Together’. 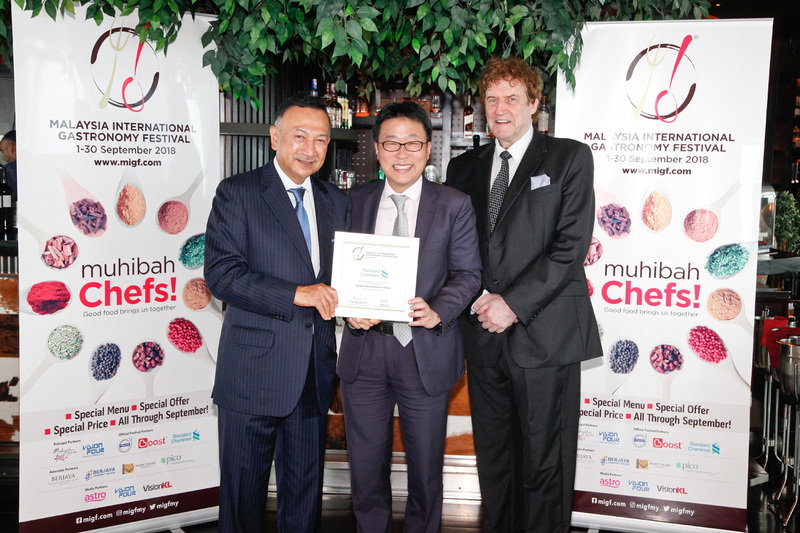 “There is no such thing as too many chefs spoiling the broth when it comes to MIGF. All the chefs work together for the common good and every diner benefits. After all, nothing connects people better than food and the Festival theme reflects this too,” he said, reflecting on the theme. Tunku Naquiyuddin also rose from his seat to address the crowd, delivering one of his customary, eloquent speeches. “We have French restaurants, Italian, Korean, Sri Lankan… we have the whole gamut really and this is what the Festival is all about,” he said. Indeed, this year’s line-up contains a diverse selection of restaurants with exciting new entrants such as the swanky Gen 根 from Penang, Kikubari, Fellini Ristorante & Café and Nulnu Restaurant among others. Meanwhile, returning to the fold is Golden Cauldron winner DC Restaurant, as well as veterans like 2OX French Bistro, Marini’s on 57 and Aliyaa Island Restaurant & Bar. Make sure to check out the full list of restaurant here. 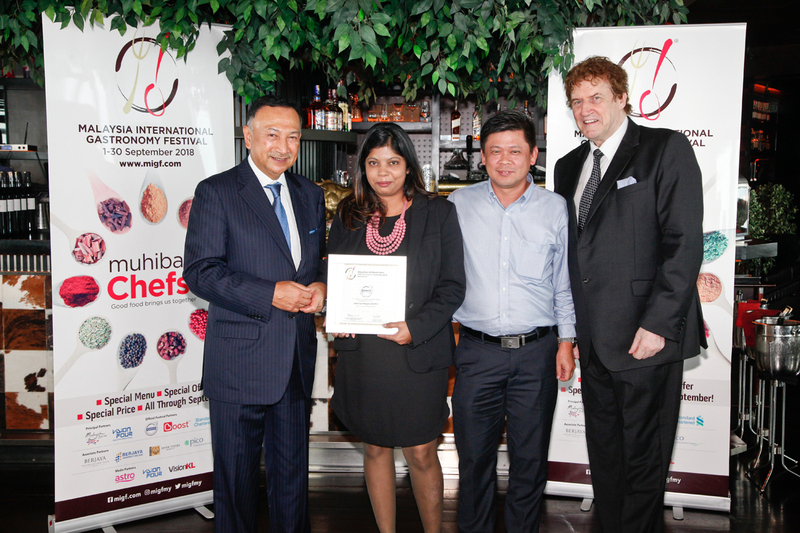 Click here for Plaque presentation to all Festival Restaurants.